Product prices and availability are accurate as of 2019-04-06 17:10:47 EDT and are subject to change. Any price and availability information displayed on http://www.amazon.com/ at the time of purchase will apply to the purchase of this product. 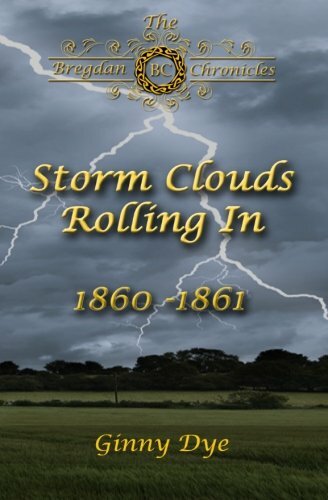 Storm Clouds Rolling In is the very first book in the ongoing Bregdan Chronicles historical novel series. It's readers like you who have turned it into a world-wide best-seller. Book Description: Carrie Cromwell comes of age as the dark clouds of the Civil War swallow the country. 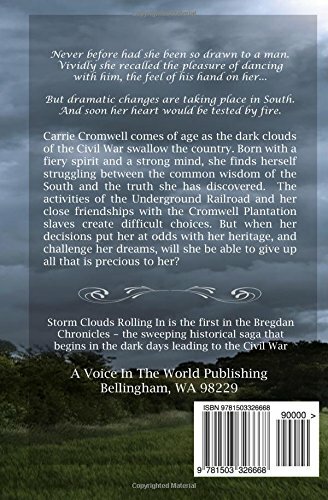 Born with a fiery spirit and a strong mind, she finds herself struggling between the common wisdom of the South and the truth she has discovered. The activities of the Underground Railroad and her close friendships with the Cromwell Plantation slaves create difficult choices. But when her decisions put her at odds with her heritage, and challenge her dreams, will she be able to give up all that is precious to her? This first book of The Bregdan Chronicles historical fiction series will pull you in and never let you go. You'll experience the Civil War era (and all the years to come) through the eyes of both White and Black, free & slave, Southern & Northern - and you'll fall in love with every character. REVIEW: I love The Bregdan Chronicles! I am struggling to find appropriate words to describe the awe I am in, and I find myself failing miserably. I absolutely could not put these books down. I would finish one, and immediately hop online to go get the next one....sometimes in the wee hours of the morning, when my tail should have been asleep. 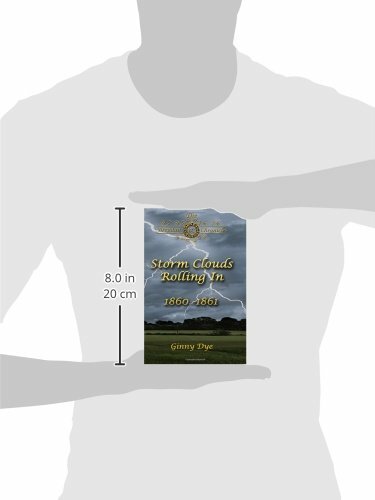 The writing style of this author brings you right into the story as if you are a part of it. She has amazing talent to capture the imagination, and bring you right into a virtual reality. I have fallen in love with every one of these characters, and have become completely entranced with each life represented. The historical account of this time period was so right on, so very vivid, you almost feel like you've walked right into it. These books became so alive, I actually had dreams at night of battle. (I'm not even kidding.) But it goes further. There were conversations in these books that had me reading over them several times. Life lessons.Sage advice.The kind of wisdom that comes from every day life. Moments that were so profound, they pierced my heart with an accuracy that I can't even begin to explain. Many times, the lives and hearts of each character were changed and rocked with revelation that came about in a moment, yet, so deeply touching the deepest recesses of the heart, that you can't go beyond it, without it having changed you as well, as you read it.